Mitsubishi Corp has taken a little hint from mother nature in their new solar panel setup. They have created a “solar plant” that features leaves made up of solar panels. The faux plant mimics nature’s leaves gathering sun from all directions. 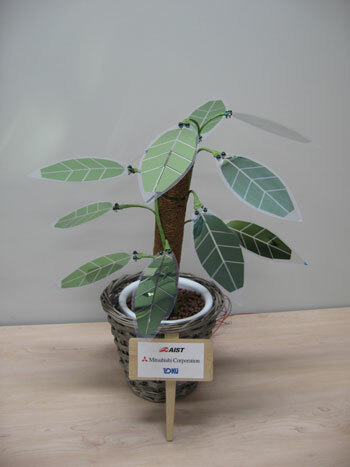 Mitsubishi hopes to have these sort of plants in homes as a means to power small household devices. This is a pretty cool idea because it wouldn’t distract from the look of your home as regular solar panels do. Via Next Big Trends.